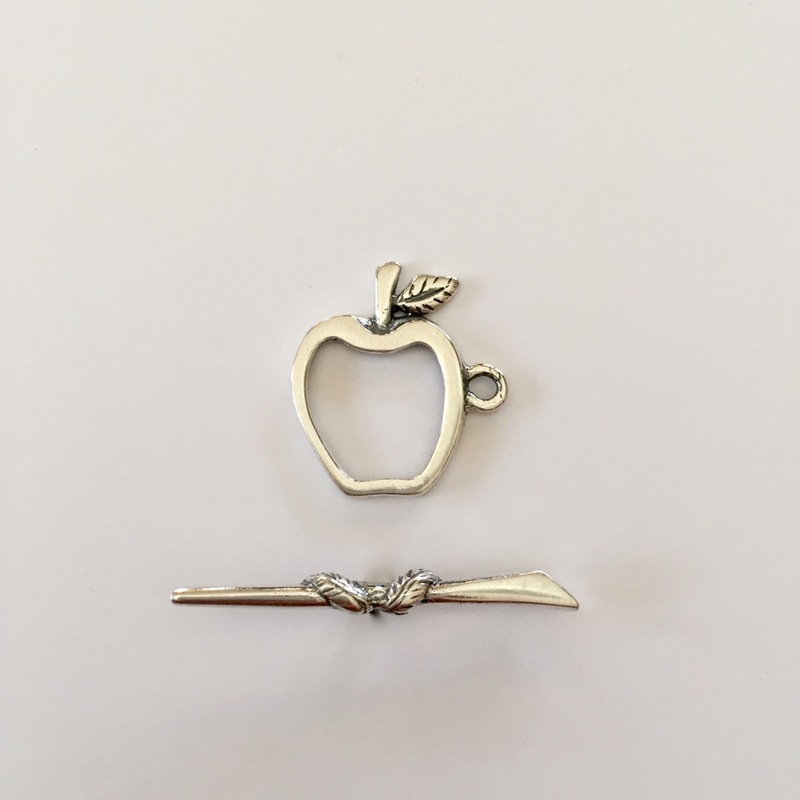 How cute is this adorable Sterling Silver Apple Toggle?! Apple measures approximately 29mm from top of stem to bottom of apple, 18mm from top of attaching ring across apple, and bar measures approximately 30mm. 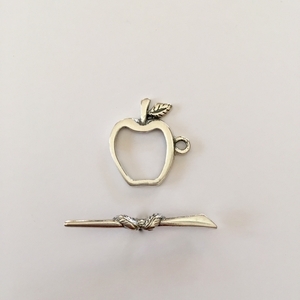 Are you making jewelry for your favorite teacher? This would be a great toggle to finish your design.